The terms Agent, Broker and Realtor® are often used interchangeably - BUT have very different meanings. In Colorado, a person must be licensed in order to sell Real Estate. Standards set by the State cover the minimal education, examinations and experience needed to become licensed. After receiving a real estate license, the better Agents join their Local and National "Association of Realtors", the world's largest professional trade association. 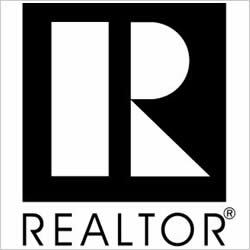 Only after joining the Association and subscribing to a strict "Code of Ethics" (which goes well beyond state law) can the real estate Agent be called a Realtor®. It is through the Realtor Association that the Agent agrees to collectively share the information on all houses listed for sale. This is done through the local MLS or Multiple Listing Service. We pledge to you the strongest marketing effort not only locally, but nationally and internationally through our website and numerous other internet marketing outlets which we network through. As your Realtor®, it is our job to get your house sold! we never lose site of our mission.